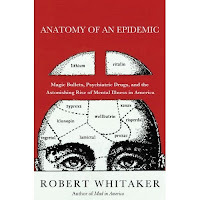 In my last post, I critiqued one aspect of Robert Whitaker's endlessly fascinating book, Anatomy of an Epidemic. Now I'll do yet some more critiquing. 1. Rates of psychiatric disability have soared during the period when many new psychiatric medications have been introduced--contrary to what you would assume should happen if the drugs worked so well. 2. Long-term studies actually comparing patients on meds vs. those off meds have yielded an apparently paradoxical result: patients not taking meds end up doing better over the years than those taking meds. Last time, I rebutted the disability argument, pointing out that the skyrocketing rates of psychiatric disability have to do with increasing enthusiasm for diagnosing psychiatric illness and for increasing government financial incentives that encourage people to seek a psychiatric diagnosis. In this post I'll consider his second argument. Whitaker argues that essentially all classes of psychiatric drugs are harmful in the long-term--including antidepressants, anti-anxiety drugs, and ADHD drugs--but I'll focus on antipsychotics, because this seems to be his main focus. Before beginning, as anybody who has followed my blog knows, I readily acknowledge that psychiatrists over-rely on drug treatment of mental illness and should be doing more therapy. In order to maximize profits, drug companies consistently downplay the side effects of their medications. 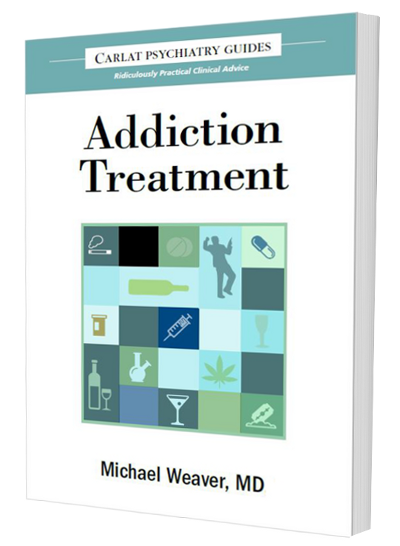 It's not that I believe drug treatment worsens conditions--rather, that our obsession with psychopharmacology has deprived many patients of integrative treatment, which combines the judicious use of medications (when needed) with the right kind psychotherapy (also, when needed). Thus, while both Whitaker and I end up with a similar conclusion--that psych meds are inappropriately used in the U.S--we arrive at that conclusion in very different ways and we mean different things by "inappropriate use." On his website, Whitaker has posted a useful page in which he provides links to the studies he mentions in his book. He lists 34 studies, including links and brief summaries. Don't worry, I won't go through all 34, I'll just make two general observations. 1. The studies cited by Whitaker are old, and the patients who were diagnosed with "schizophrenia"often did not have that illness. Most of the long-term outcome studies in the literature were published in the 60s, 70s, 80s, and early 90s. But they are actually even older than that, because these studies often describe people who were diagnosed with "schizophrenia" 10 to 20 years before the date of the publication. For example, the Vermont longitudinal study was published in 1987, while is already pretty old, but the study describes patients who were originally diagnosed with schizophrenia in the late 1950s and early 1960s. Why does this matter? Because before DSM-III was published in 1980, American psychiatrists had a bad habit of vastly over-diagnosing "schizophrenia." Patients who would now be labeled with bipolar disorder, borderline personality disorder, depression, and various other problems, were, in the 60s and 70s, likely to be diagnosed "schizophrenic." The classic study to demonstrate American psychiatry's historic infatuation with the schizophrenia diagnosis was published in 1971. The researchers showed videotapes of 8 patient interviews to a few hundred psychiatrists in both Britain and the U.S. After viewing the videotapes, the doctors were asked to make a diagnosis. The disagreements were glaring--and were somewhat embarrassing for the Americans. For example, in one case, "Patient F," the patient was a man from Brooklyn who had hysterical paralysis of one arm and a history of mood fluctuations associated with alcohol abuse. The diagnosis? According to 69% of American psychiatrists, the man had schizophrenia, whereas only 2% of the British psychiatrists favored that diagnosis. Most of the British psychiatrists diagnosed the patient with "hysterical personality disorder." The point is that most of the long term outcome data Whitaker cites is based on unreliable and very broad conceptions of schizophrenia. 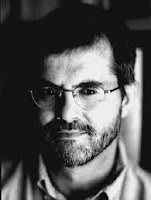 While he accurately describes studies showing that schizophrenic patients who were not on medications often did very well, I'll bet you a dime to a dollar that many of these high functioning schizophrenics never had schizophrenia in the first place, at least not according to current DSM-IV criteria. They did perfectly well off antipsychotics for the same reason somebody without diabetes would do well off insulin--they didn't actually have the disease. 2. Most of the studies Whitaker cites are observational studies--which are suggestive, but not definitive. The best way to figure out if a medication is helpful or harmful for schizophrenia is to conduct a placebo-controlled study. You randomly assign patients to two treatments: an antipsychotic or a sugar pill placebo. A recent meta-analysis of 38 such randomized studies of second generation antipsychotics, which pulled together data from 7323 patients, found that antipsychotics outperform placebo with a response rate of 41% vs. placebo's 24%. These were mainly short term studies, lasting a couple of months or so. Thus, we know that antipsychotics are moderately effective in the short term, although they can have some nasty side effects. Because these gold-standard long term studies do not exist, we are forced to fall back on much less convincing evidence--observational studies. This is where researchers enroll, say, 200 patients with schizophrenia and ask them to agree to periodic evaluations. The patients can get their care wherever they want, they can continue to see their doctors, take or not take medications, seek enlightenment in the Himalayas, or go to Lourdes. It's all up to them. Every few years, the researchers contact them and ask them how they are doing. Are they taking meds? Are they having psychotic symptoms? Do they have a job? And so on. You can immediately see why such observational (also termed "naturalistic") studies are suboptimal. If, 10 years after the study starts, the patients who are not taking meds anymore are doing better than the patients who are taking meds, how do you interpret this? You could conclude that antipsychotics worsen schizophrenia. Or, you could conclude that the patients who are not on meds after 10 years simply were blessed with a milder version of schizophrenia, such that they recovered after a few years and didn't need meds anymore. This inherent weakness of observational studies is why the Harrow study is so hard to interpret. Whitaker and Andrew Nierenberg debated this study on Radio Boston recently. In this study, Harrow and colleagues identified 64 patients with schizophrenia and reinterviewed them five times over the next 15 years. At the final 15 year follow up, 64% of the patients who were taking antipsychotics still had psychotic symptoms, whereas only 28% of those not taking antipsychotics had such symptoms. What does this mean? Whitaker sees this as evidence that antipsychotics worsen mental illness. I see it differently. I suspect that the patients still taking antipsychotics after 15 years had more severe cases of schizophrenia to begin with, and therefore required more prolonged treatment with medications. The medication didn't cause the psychosis--the psychosis caused patients to still need the medications. Over the last few days, I've spent many hours thinking and writing about Anatomy of an Epidemic. Mostly, I've chipped away at its central thesis, and yet the fact that this powerful book has riveted my attention for so long means something. It's fascinating. It's enthralling. And it is the work of a highly intelligent and inquiring mind--a person who is struggling to understand the nature of psychiatric treatment. Put it on your reading list, and join the debate. I haven't reviewed Anatomy of an Epidemic until now, partly because I once shared a meal with the author, Robert Whitaker. It's hard to be objective reviewing the work of someone you know, whether you like him or dislike him. As it happens, I quite like Robert Whitaker. We had dinner at a Chinese Restaurant in Harvard Square last June just before I gave a book talk for my book Unhinged. Over wonton soup and kung pao chicken, we chatted pleasantly about our work. He's an extremely intelligent and devoted journalist who really cares about the treatment of the mentally ill. I had read parts of his book before we met, and told him that I disagreed with various aspects of it. He understood my points, saw their merits, but cordially held fast to his own convictions. I haven't spoken with Bob since then. I continue to respect him and I'm sure our paths will cross again. Generally, I don't think it's great practice to review books when you know the author, and most mainstream publications prohibit it. But hey, this is a blog and I think we can be a bit less "ruley" in this context. My overall take is that Whitaker has his basic facts right, and that he communicates them in a compelling style that I envy. But I disagree with his interpretation of the facts. My argument is not all that different from the MGH/Andy Nierenberg rebuttal that was beautifully covered by Carey Goldberg in the CommonHealth Blog. You gotta check her post out--it includes video clips of Whitaker's brave grand rounds talk at MGH and captures the atmospherics of the ether dome, where I often went to grand rounds when I was a psych resident there. 1. Over the past couple of decades, many new and supposedly more effective psychiatric drugs have been introduced. 2. If these drugs were so effective, you'd think rates of psychiatric disability would have declined over this period, but in fact, rates of psychiatric diagnosis and disability have skyrocketed. 3. There are some poorly publicized studies suggesting that patients with serious mental illness actually do better when they do not take drugs. 4. Therefore, it's reasonable to conclude that psychiatric drugs are actually bad for many people, at least when taken for more than a short period of time. This is obviously a simplified version of a long book that makes several other points as well, but this is pretty much the arc of his argument. Here is my basic rebuttal: Correlation does not imply causation. In other words, yes, many more people take psych drugs, and yes, many more people are psychiatrically disabled. But the med use has not caused the disability. Instead, the skyrocketing disability rates are caused by several other factors, having almost nothing to do with any putative toxic effects of long-term medication use. In my opinion, the apparent rise in psychiatric disability has three major causes. Cause #1: There are more disorders to diagnose. The number of official DSM diagnoses has grown from about 100 in 1952 to about 300 today--see the table below. Each time a new version of the DSM is published, clinicians get trained in how to recognize the new categories of disorders. There's plenty of room for debate about whether all these "new" disorders are truly new or valid, but my point here is that, valid or not, the rise in diagnosis has been largely driven by changes in disease classification and subsequent training--not by toxic medications. Cause #2: There are more treatments available, so clinicians have a greater incentive to look for diseases. Unless there is a treatment for a disease, doctors have little incentive to take the extra time required to diagnose it. Not only has there been an explosion of new psychiatric drugs, but there are many more types of targeted psychotherapies as well. 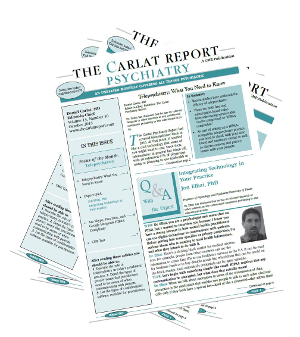 New drugs and therapies have motivated psychiatrists, psychologists, and social workers to ask more questions to discover newly treatable disorders. Again, one can argue that drug companies have practiced "disease mongering" and have unethically persuaded doctors to recognize questionable disorders simply in order to make money. This has certainly happened at times, as I document in Unhinged. Sure, drug companies have revved up the diagnosis of disorders, but their drugs haven't actually caused the disorders. In addition, it's certainly true that psych drugs have many side effects, and that side effects can cause certain disabilities. But this is true for all drugs in all fields of medicine. Antipsychotics are effective at reducing delusions and hallucinations, but they can also cause weight gain, diabetes, tremor, etc.... It's up to the doctor and the patient to decide together whether the side effects are so disabling as to overwhelm the benefits. But this does not mean that psych drugs cause worsening psychiatric disabilty, any more than blood pressure drugs cause worsening blood pressure. Cause # 3: Changes in federal law have encouraged more people to seek disability status. To understand the ins and outs of Supplemental Security Income (SSI), you must read an outstanding recent series in the Boston Globe, called The Other Welfare: A Legacy of Unintended Side Effects.The short version of these articles is that SSI is a well-intentioned program to provide income and insurance for disabled citizens. But over the years, it has expanded to include various psychiatric disorders that are difficult to diagnose and that can be easily faked, such as ADHD and PTSD. Indigent people have realized that it's not too hard to get a psychiatric diagnosis and a medication, and once you have these you can apply for SSI benefits. The application is an arduous process, with no guarantee of success, but the numbers cited in the Globe tell the story (the Globe article focuses on children). In 1990, only 24,000 children qualified as psychiatrically disabled under SSI; by 2009, 640,000 children had qualified, a 26-fold increase. Okay--I'm running out of steam and this post is already too long. Bottom line: Whitaker does a great job documenting an astonishing rise in psychiatric disability, but he erroneously blames the drugs, when the actual causes are more nuanced and multifactorial. Next time I'll get into some of the studies he cites in support of the idea that psychiatric drugs can worsen mental illness. I believe he is on shaky ground here as well. So, You Want to be a Health and Science Blogger? Get Some Tips. On Wednesday, January 19, I'll be part of a panel of experts on blogging about health and science for an event at the Harvard Faculty Club in Cambridge, Mass, sponsored by the the New England Science Writers. You can hear all about how I've channeled my outrage about medical education corruption into blog form. It's a relatively mature defense mechanism that we shrinks call "sublimation." I'm flattered to be invited to join such talents as Gary Schwitzer, whose Health News Review blog was named best medical blog of 2009 by Epocrates; Ivan Oransky, the Executive Editor of Reuters Health who blogs at Embargo Watch and Retraction Watch; and former Wall Street Journal reporter Rachel Zimmerman, who writes the CommonHealth blog for Boston's NPR station, WBUR. The event's moderator will be Alison Bass, the author of Side Effects: A Prosecutor, a Whistleblower, and A Bestselling Antidepressant on Trial, and a blogger herself, at her eponymous blog. It's sure to be an interesting discussion.You can learn more about the panel on the New England Science Writers' website. "Medical Education Forum"? 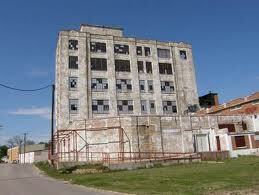 Or a Dying Industry's Last Gasp? I just received the email below because I'm a member of a CME industry group, most of whose members depend on industry funding for their existence. It's an invitation to a meeting in Philadelphia where stakeholders in commercial CME will try to figure out how to stem the hemorrhage of money out of their ethically sketchy industry. You've got to love the carefully scrubbed title of the conference: "Medical Education Forum: Improve Outcomes Through Collaboration to Maximize the Quality of Patient Care." Sounds like it should be a meeting of doctors and other health care professionals. But at a two day conference price tag of $2095.00 (not including travel or hotel), you can get a sense of who the attendees are likely to be and what their real incentives are. The state of medical education is ever changing and evolving. The pharmaceutical industry is continuously scrutinized for supporting CME. Recent reports on the Sunshine Act regarding payments to physicians, as well as other negative attention and public confusion about the purpose of medical education, are leading to a decrease in perceived value. With limited budgets and declining internal support, it is critical for industry grantors and CME providers to do everything, within regulations, to ensure the most appropriate and effective educational designs and outcomes. For providers, the expectations of industry grantors can be overwhelming without the appropriate staff and financial support. Providers struggle to execute and fulfill outcome assessments that demonstrate, at a minimum, a knowledge or competence change for learners that will positively affect patient care. For industry grantors and CME providers, the need for a common understanding of best practices in educational design is essential to ensure CME programs demonstrate positive outcomes that improve the quality of patient care. That is why CBI's Medical Education Forum is indispensable to medical education professionals. Hear about regulatory updates, innovative information channels, strategies to measure change in HCP behavior and methods for improved reporting and communication of meaningful outcomes. This forum provides a platform for the exchange of information and open dialogue surrounding the challenges and opportunities in medical education. Please join us March 21-22, 2011 in Philadelphia to learn from and interact with thought leaders in medical education. The seasoned speaking faculty includes perspectives from Abbott, Acorda Therapeutics, Celgene, CE Outcomes, Cephalon, Covidien, DIME, Endo Pharmaceuticals, Genentech, John Hopkins School of Medicine, Med-IQ, MedscapeCME, Medtronic, Merck & Co, National Foundation for Infectious Disease, New Jersey Academy of Family Physicians, Omnia Education, Pfizer, Prova Education, Rockpointe and the University of Pennsylvania School of Medicine. P.S. Don't miss concurrent breakout sessions addressing challenges specific to industry and providers! Current Psychiatry is a controlled circulation "throwaway" journal that comes to all psychiatrists free of charge. It's well-written, often useful, but editorially it has unfortunately become a mouthpiece for the promotional aims of its advertisers. Recently a few examples attracted my attention. 1. This CME Supplement was packaged with the November 2010 issue. It is called “Effective Strategies for Patients With Complex Depression in Psychiatric Practice." It's supported by AstraZeneca, maker of Seroquel, and the supplement's three articles are well-masked ads for the use of Seroquel in treatment-resistant depression. There are lots of subtle promotional strategies here, but check out especially pages 10 and 11. Here, you find a paragraph on atypicals pretending that they all have the same side effects (the crucially hidden point is that Seroquel causes more weight gain and sedation than most other atypicals). On the next page, they are no longer shy about delineating side effects of specific drugs--each of which is a competitor of Seroquel. File under: "Sin of Omission". 2. 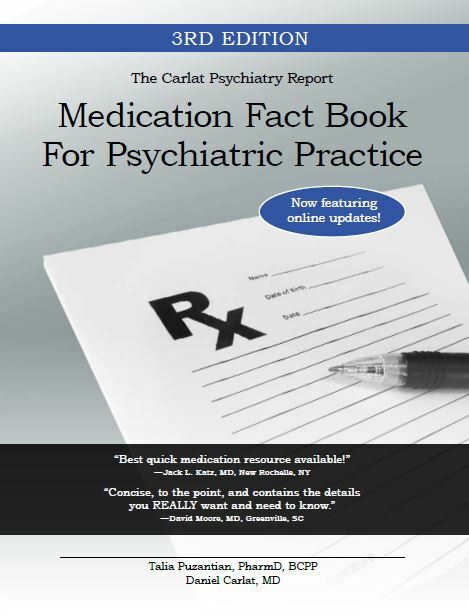 Another promotional CME Supplement was published in October 2010, and is entitled "Differential Diagnosis and Therapeutic Management of Schizoaffective Disorder." It is supported by Janssen, the maker of Invega, which was recently the first medication FDA approved for--you guessed it--schizoaffective disorder. I haven't read it yet, but this is a de facto advertisement simply by virtue of the choice of topic. Janssen makes the only approved product for schizoaffective disorder, and in order to advertise it, they paid off Current Psychiatry to write a huge article about the disorder. It doesn't need to be "biased;" it just needs to be focused on a topic that is of inherent commercial benefit to the supporter. In my opinion, this violates the ACCME Standards of Commercial Support. 3. Finally, in the current issue, there is this article (not a CME article) introducing Lurasidone (Latuda), the latest FDA approved antipsychotic. The authors have no disclosures, which is surprising, because the article is a glowing endorsement of Latuda. The relentlessly advertorial flavor begins with the opening tag-line ("A new atypical antipsychotic offers once-daily dosing and is well tolerated and considered weight neutral") and reaches a fever pitch at "Table 2", which claims that Latuda stimulates certain brain receptors (true) and therefore improves cognition (false). I don't know what's going on with Current Psychiatry lately. Each of its CME supplements (and even some of its non-CME articles) are so commercially biased that it would take an army of Carlat clones to keep up with lodging formal complaints with ACCME. Anyone up to the task?